Most executives receive little education on what to say, and just as importantly, what not to say in a merger. Right from the start, there is little opportunity for them to make an insignificant remark. Practically everything they communicate is studied for innuendo, or held up to the light for subtle implications. 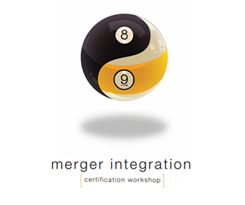 The Merger Integration Certification Workshop teaches participants communication best practices specifically for M&A. The next time you see or read about a top executive announcing a merger/acquisition, pay close attention. I’m betting the boss mismanages expectations by making at least one of these five common but wrong-headed remarks. Why wouldn’t you? During a merger or acquisition, people are primed for change. They expect it. So you should use this window of opportunity to make needed changes. No company is perfect. Take advantage of the situation and seize the opportunity to make improvements. Besides, over the weeks and months to come, something is bound to change. It may have nothing at all to do with the merger per se, but that doesn’t matter—the merger will be the convenient whipping boy. With the merger in the forefront of people’s minds, that’s where they’ll lay the blame.